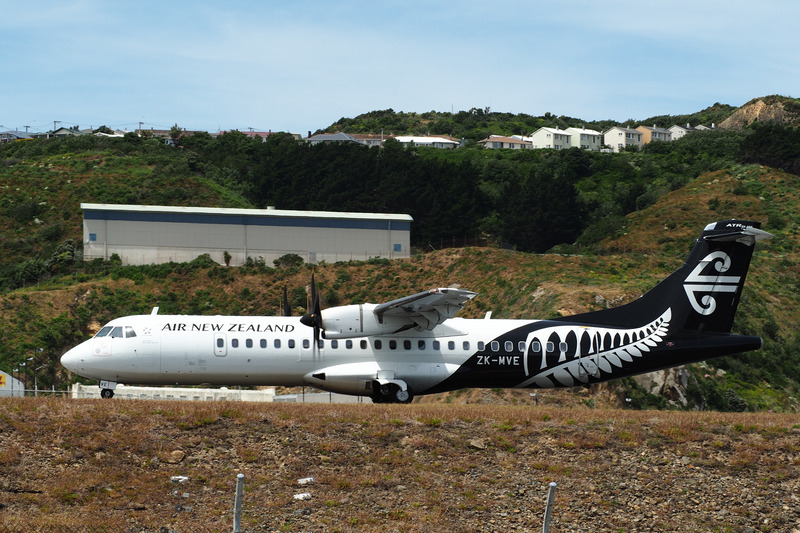 After three days of mediation, the unions representing Air New Zealand Logistics and Engineering workers have reached agreement in principle with company representatives. Talks concluded at Air NZ HQ at 10pm tonight. As a result, the three one-day strike notices on 21, 22, and 23 December have been lifted. The members core aims have largely been achieved, however specific details about the offer will not be released until union members have been briefed. E tū’s Head of Aviation, Savage, says that travellers will no doubt be relieved and should be reassured that Air New Zealand Engineers and logistics workers are dedicated professionals. “Industrial action of this nature is always a last resort and so it’s a positive sign that we’ve reached an agreement in principle,” Savage says. “Unions are democratic organisations so the most important next step is communicating with our members. We will be recommending the deal to members at ratification meetings over the coming week – then it’s up to the members to discuss and vote on the company offer. “While the process has been tense at times, it is a much improved offer from where we started and maintains standards in Aviation. I want to acknowledge the union negotiating teams, especially the delegates, for getting us to this point. The unions representing Air New Zealand Engineering and Logistics workers confirm that last week they issued three full-day strike notices for 21, 22, and 23 December. Last week union members voted overwhelmingly in favour of industrial action in response to the company’s low offer and requests for cuts to sick leave and overtime. E tū and the AMEA remain in mediation with the company. 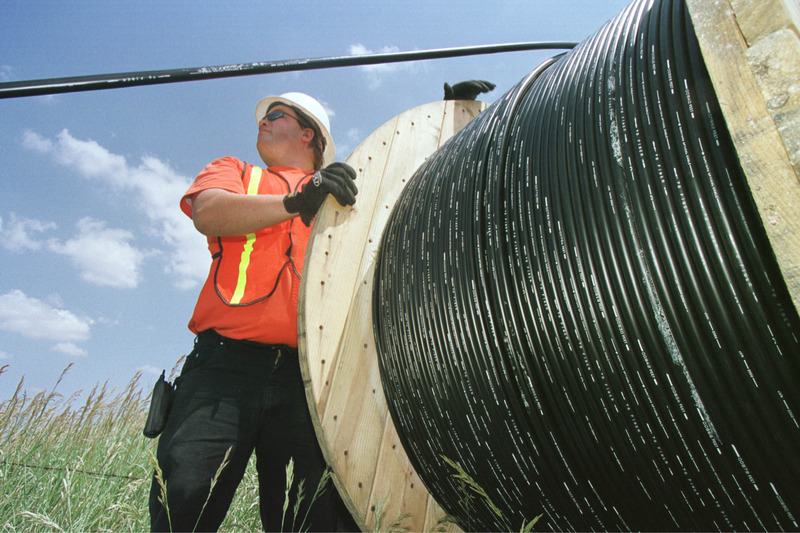 On Monday, union delegates and officials worked with the company late into the night to try and reach an agreement. E tū is committed to this process and to reaching a deal that meets the interests of both our members and the travelling public. Savage, Head of Aviation at E tū, says “The decision to issue strike notices was not taken lightly. While the bargaining team is trying hard to get a workable offer, the union members are steadfast in their commitment to taking industrial action if necessary. Savage is the union spokesperson on this issue. He will continue in mediation with Air New Zealand but may get time for short phone interviews. Please send him a text message to arrange: 027 590 0074. Blue Star workers on strike! 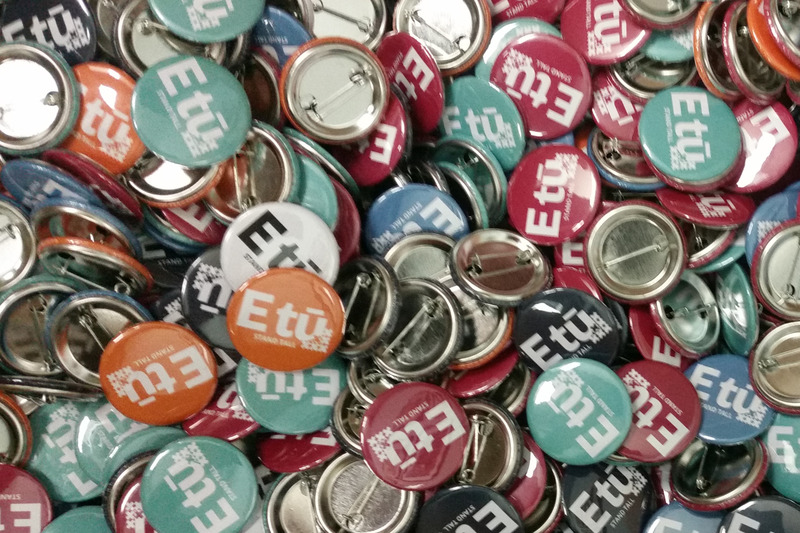 E tū members at Blue Star Group’s four print shops are on a 24-hour strike today, which began at 12:01am this morning. The workers are taking industrial action after months of very little progress in their employment agreement negotiations. Their agreement expired last year. Blue Star won’t budge on several unreasonable demands, such as wanting the ability to change shifts without the agreement of affected workers. Communications Industry Coordinator Joe Gallagher says that’s not good enough. “Job security and the ability to plan your life around work are key conditions that Blue Star workers both need and deserve,” Joe says. “There are challenges facing the print sector here and internationally, but that’s no excuse to force workers to accept precarious conditions. So they won’t – and that’s why they are on strike today. The company is also demanding that workers declare any secondary employment they have, which Joe says is a breach of their right to privacy. “If a worker needs to pick up a few shifts somewhere else to make ends meet, how is that any of Blue Star’s business? What workers do on their own time shouldn’t factor here. “Blue Star’s demands clearly demonstrate that their attitude towards their workforce is pretty grim. The company wants all the flexibility and information at their end, without giving a stuff about the workers and their right to organise their own lives. Workers at OceaniaGold in Waihi will be on strike again this weekend, as the company continues to refuse a fair deal for the workers. On Monday, workers at OceanaGold’s underground mine at Waihi voted unanimously for a second 48-hour strike, beginning at 7.15pm on Saturday, which will go ahead now that the company has refused to improve their offer in negotiations today. The members had rejected a low-ball offer of 2.2 percent during earlier pay talks. E tū organiser Myles Leeson says that while the workers are keen on resolving the issues, they will remain staunch as they fight for what they deserve. “We’re hoping for a resolution to this dispute, and that means a realistic pay rise,” Myles says. “The offer of 2.2 percent is well below what the company can afford, and what the workers are worth. Myles says that the workers deserve their earned share of the record profits the company has enjoyed this year. 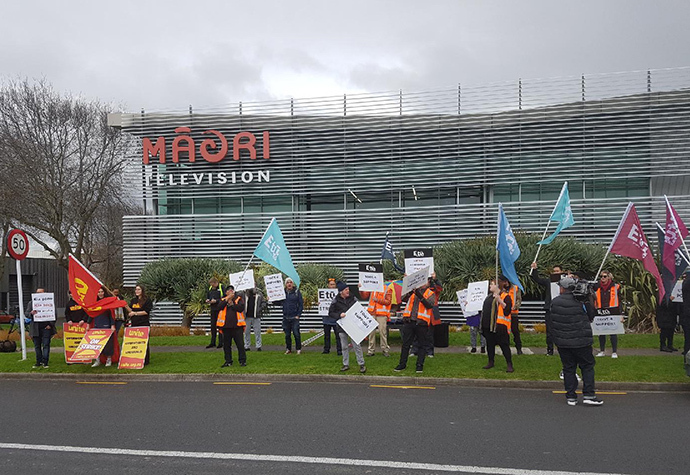 Māori Television and E tū have reached a settlement that reflects the expectations of both parties. 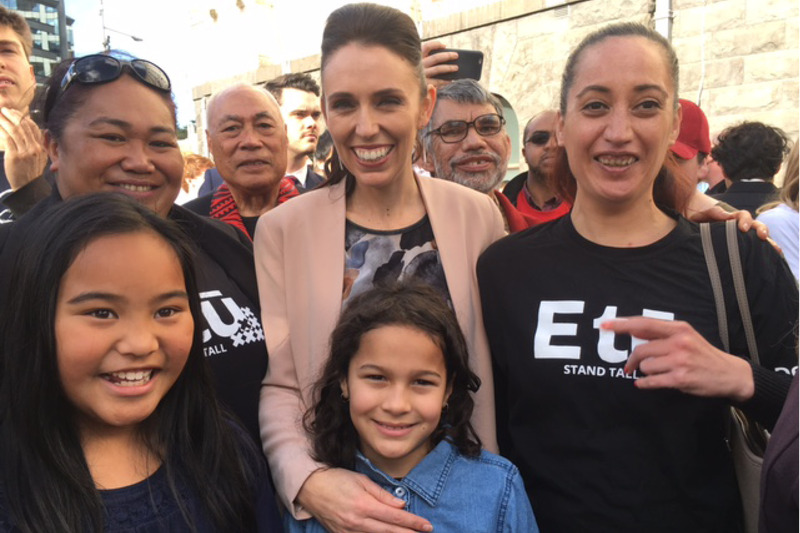 Māori Television looks forward to working alongside the E tū union in responding to future challenges and opportunities. E tū stands alongside TVNZ Pacific correspondent Barbara Dreaver who was detained by police in Nauru earlier this week. Barbara also had her credentials to cover the Pacific Islands Forum revoked. She was released after a few hours and then had her credentials restored. Her crime? Doing her job as a journalist. Barbara, a longstanding member of our union, has also long been a committed and dedicated journalist bringing the stories of the Pacific to TVNZ’s audiences. She has reported on the region without fear or favour and brought her expertise, understanding and perspective to her reportage. She was doing the same in Nauru when she was picked up by police for speaking to a refugee held in Australia’s offshore detention centre. This is a story of huge public interest to audiences across the world and Barbara did not shy away from tackling it even though it has always been clear authorities in both Nauru and Australia are not keen on a light being shone on the issue. While Barbara was detained by Nauru police, Australia too must take some responsibility for this attack on press freedom. Barbara’s mistreatment is a timely reminder that within our close neighbourhood press freedoms we might take for granted in New Zealand are not so easily upheld elsewhere. We stand in solidarity with journalists throughout the region who struggle to report the stories of the Pacific without the fear of facing authoritarian responses to their reportage. We also welcome comments from New Zealand’s Foreign Minister Winston Peters and National’s foreign affairs spokesman Todd McClay denouncing Nauru’s action and expressing how important freedom of the press is to democracy. E tū, the largest private sector union in New Zealand, is celebrating the Government’s focus on apprenticeships in the ‘Mana in Mahi’ programme announced today. 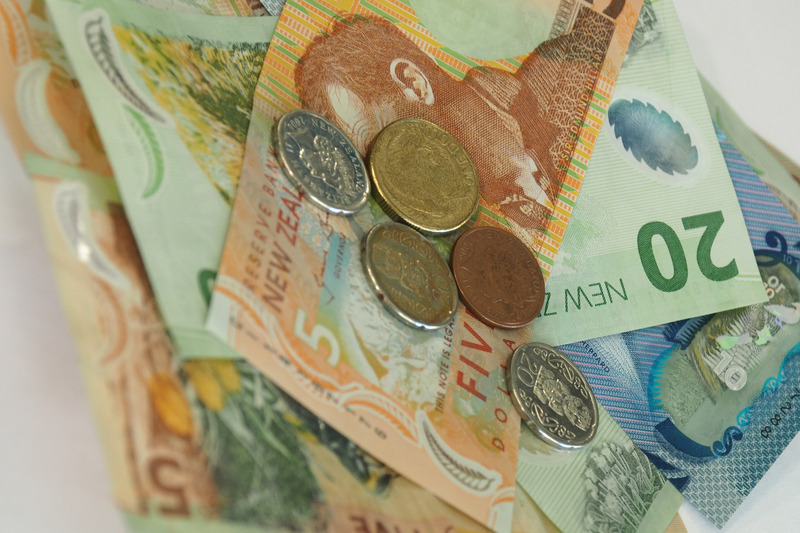 The new policy will help get young Kiwis into apprenticeships by subsidising wages paid to 18-24 year olds who have been on a benefit for six months or more. E tū Construction Industry Coordinator Ron Angel says that it’s great that construction work is targeted in this programme. “It’s an excellent initiative. There is plenty of construction work to do, and with so many of our country’s young people not in education or employment it makes a lot of sense to help them into the industry,” Ron says. “While construction apprentices generally get paid around the minimum wage to begin with, there are opportunities to move up the pay scale relatively quickly. Ron says that government programmes will be an essential part of preparing New Zealand for the changing world of work. If Ron cannot answer straight away, please leave a message and he will return your call.